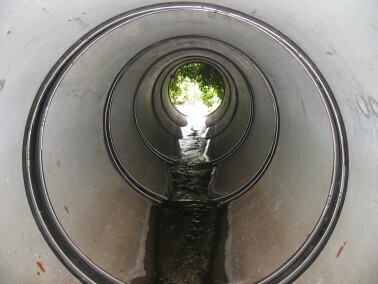 Reducing groundwater infiltration. 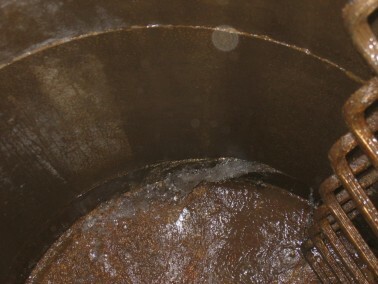 Increasing waste-water treatment capacity. 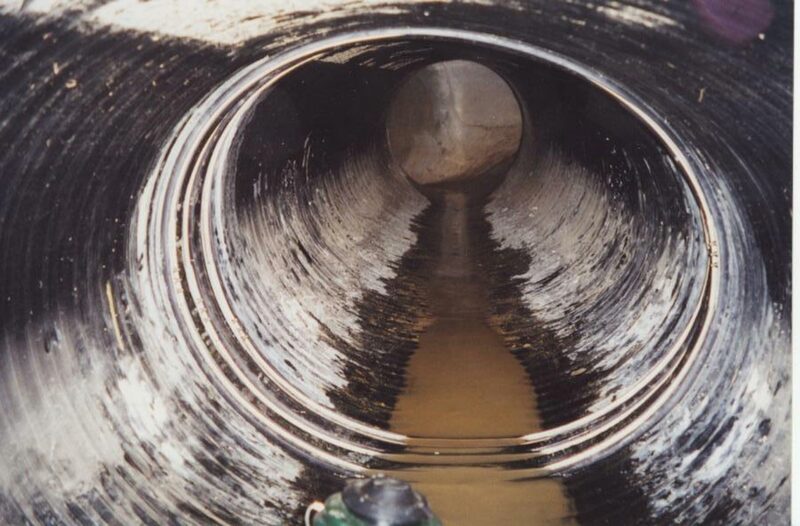 Stop ground-water infiltration and increase water treatment capacity in underground pipes with Cretex’s Internal Pipe Joint Seals. These internal joint seals provide a compression seal that is watertight. 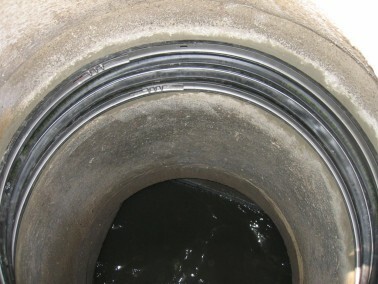 The Internal Joint Seals are watertight compression seals that reduce groundwater infiltration, increasing waste-water treatment capacity in underground pipes. 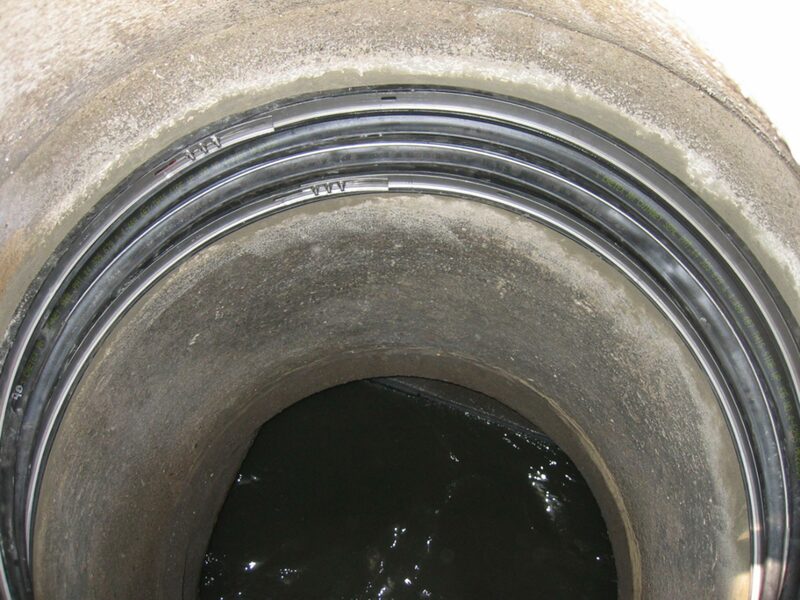 Made of 7.5″ high quality rubber, Internal Joint Seals meet or exceed the physical requirements of ASTM C-923. 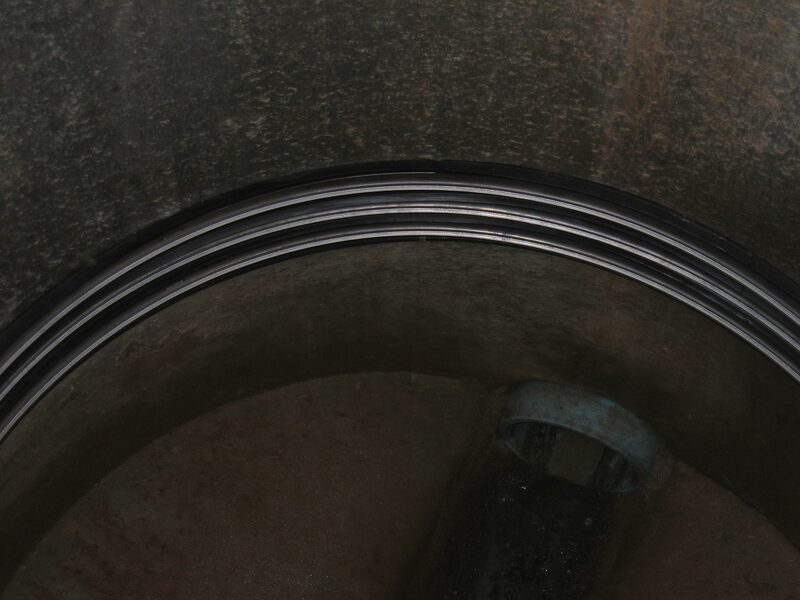 The stainless steel expansion band meets or exceeds ASTM A-240, Type 304 standards. Designed for new or existing installations, excavation is not necessary for use. Provides watertightness and movement flexibility. 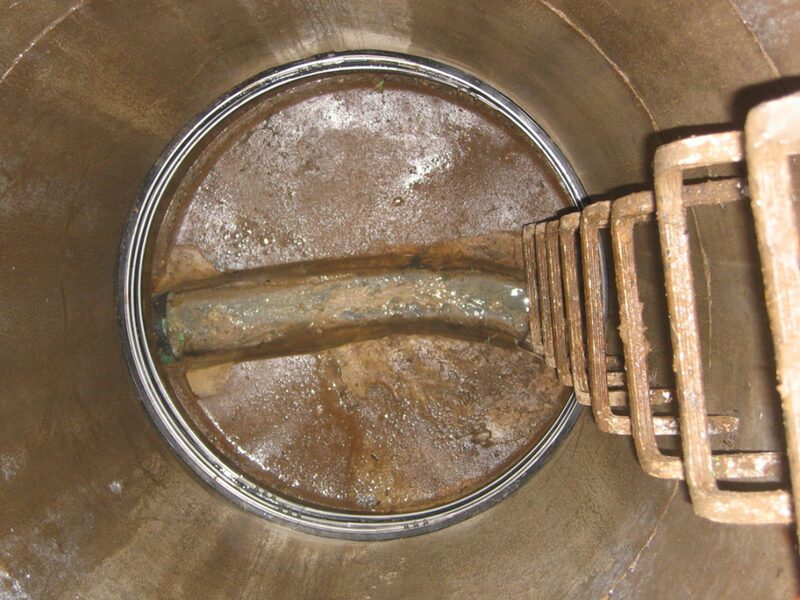 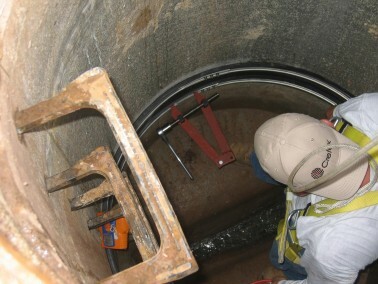 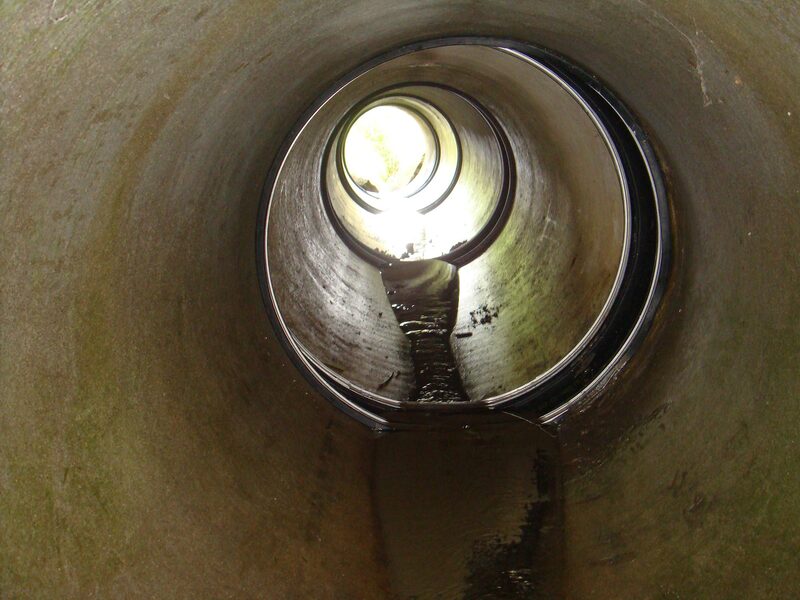 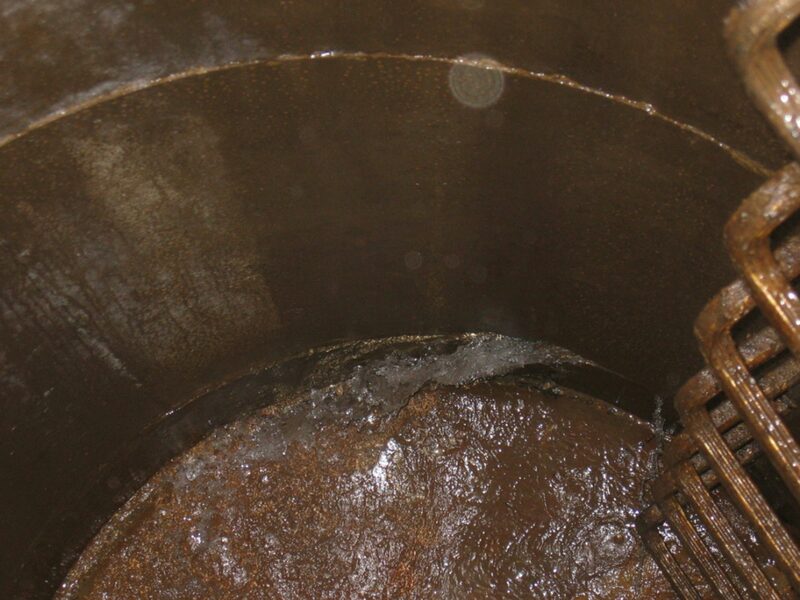 Reduces excess clear water in sanitary sewer systems. 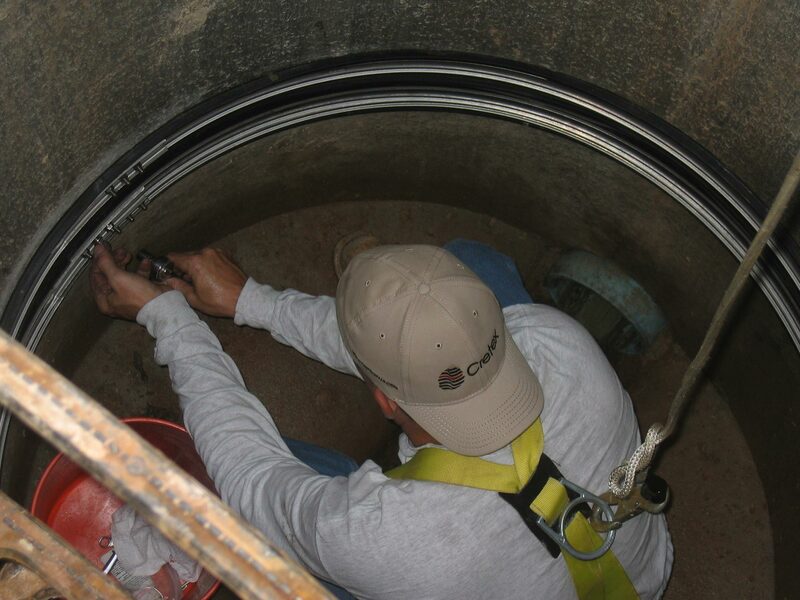 Easily installed mechanically to the inside of existing pipe and manholes–no primers, no torches, no special tools required. 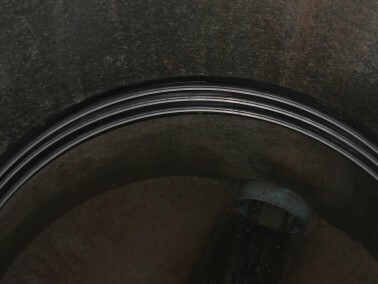 Accommodates offsets and diameter differential. 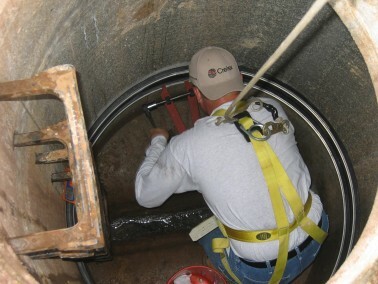 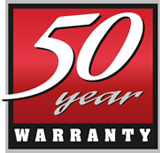 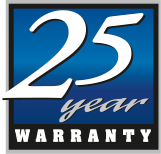 Get Watertight that is Done Right–call Cretex at 800-345-3764.